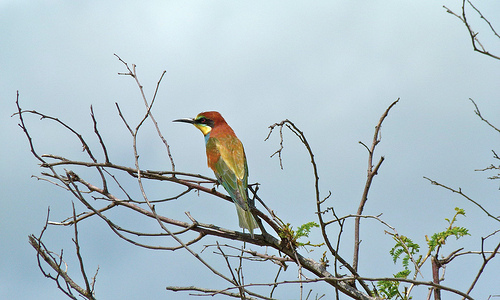 The Bee-eater is an exotic bird, mostly found in southern Europe. In western Europe it is unfortunately rare. 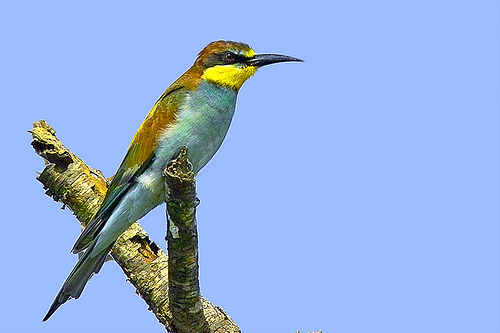 Too bad, because it's a beautiful and colourful bird to see.